Happy Fourth of July from all of us here at The Dan Cave! On this day of our nation’s birth, many choose to celebrate by stuffing their body full of grilled meats, drinking carbonated breadwater under the unforgiving sun, and setting off enough fireworks to make neighborhood dogs think that the cats have finally gone nuclear. But those are only a few of the ways one can celebrate the Fourth of July. There are many others, according to the wonderful world of cinema, that are categorically worse and will result in you having what is undeniably a very bad Independence Day. So on today’s episode of The Dan Cave, we’re running down the worst ways to celebrate the Fourth of July according to movies. 1) It’s never a boating accident. 2) Statistically, you will 100 percent get eaten by a goddamn shark if you even so much as look at the water. 3) Always wear sunscreen. Like more than you think. Otherwise you won’t be swimmin’ with bow-legged women because you’ll be redder than Quint’s face after chugging his body weight in Narragansetts. If you’re planning on visiting scenic El Paso, Texas to see where your favorite salsa comes from, you might want to think again. If Southland Tales and our current geopolitical climate are any indication, then you will be obliterated by a nuclear attack triggering the Third World War. And if you’re not in El Paso, well, then you’ll be in the movie Southland Tales. And that might be a fate worse than running out of salsa. Everyone loves to hear a nice, inspiring speech on the Fourth of July. It reminds us of what our Founding Fathers fought so hard for in the first place: the right to life, liberty, and the pursuit of welcoming people to Earth with a swift punch to the face. 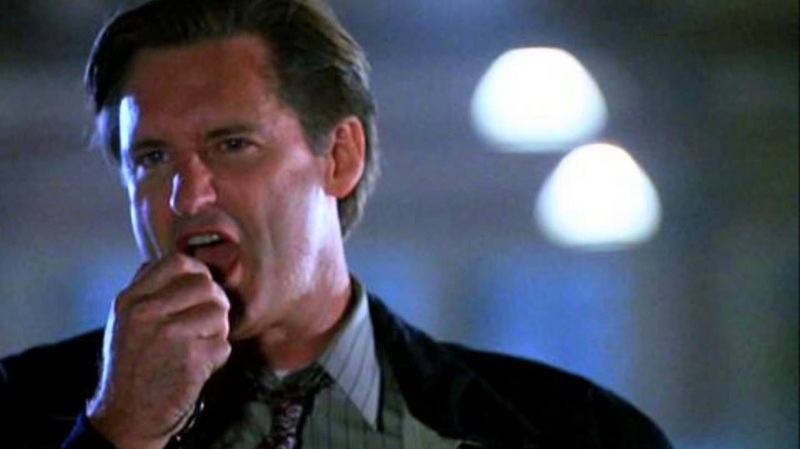 But maybe you shouldn’t listen to any speeches this July 4th because before you know it, you’ll find yourself blackout drunk, flying an airplane on a kamikaze mission toward whatever you deem to be an unidentified object in order to impress President Thomas J. Whitmore and redeem yourself in the eyes of your family. Basically, the takeaway here is to drink responsibly and never ever cosplay as Randy Quaid. While a beautiful hotel nestled in Colorado’s Rocky Mountains sounds like an idyllic place to spend the Fourth of July, it’s actually a nightmare waiting to happen if The Shining is any indication. Between crazed writers knocking down your door with an axe, terrifying twin girls wandering the halls, and elevators full of blood, it’s hard to imagine a worse place on TripAdvisor. And for cocktails? All they have is redrum. Yuck! No thank you. The worst part? They tell you that checkout is at 11, but before you know it you’re working there...and you’ve always been working there...aaaaand you’re a ghost. While this movie may not take place on the Fourth of July, it releases on the Fourth of July, so that’s close enough for our purposes. Basically, The First Purge tells the story of how America’s ultraconservative totalitarian leaders decided to let people blow off some steam by making all crime legal for 12 hours. So hey, we’re halfway there! But maybe you shouldn’t take part in the Purge considering you probably have a hard enough time setting off illegal fireworks properly. According to a 2015 Consumer Reports study, 12,000 people injured themselves from fireworks alone that year. Besides, it’s gonna be way too humid to cosplay as a creepy version of Uncle Sam. And do you really want to get blood on your nice period-accurate Revolutionary War costume? No, you don’t. Because that is dry clean only, and that gets expensive. You might think to yourself, “Ah, the perfect way to celebrate our nation’s birth is with a relaxing game of billiards!” And so you head to the nearest town with a pool table, but it’s just making everyone so horny! Or at least that’s what you tell people so that they’ll leave and you can play some pool in peace. But instead of playing pool, you get roped into an elaborate scam in which you convince the town to buy approximately 70 too many trombones for their youth marching band, and before you know it, you’re about to be tarred and feathered unless these tweenage dinguses can nail Beethoven on the first try. And spoiler alert: they’ll do it, but not very well. Just play ping pong—it’s just as fun, doesn’t make anyone horny, and there’s no marching required. And honestly, isn’t a day free of cardio what America is all about? And those are some of the worst ways to celebrate the Fourth of July according to movies. Which of these do you lowkey want to try? What would you add to this list? Let me know in the comments below.